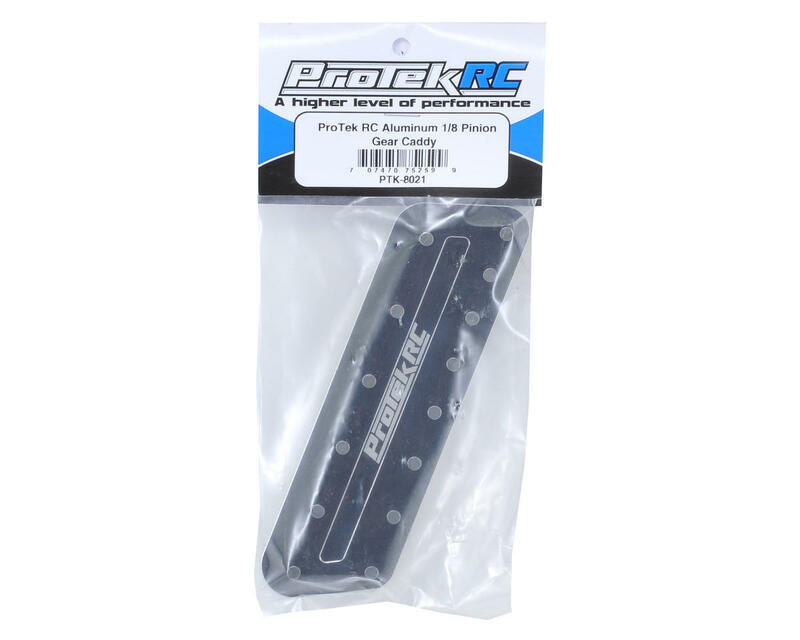 The ProTek R/C Aluminum 1/8 Pinion Gear Caddy is a must have addition for any tool box or pit bag. This pro-grade accessory will help you keep your valuable pinion gears safe and easily accessed. 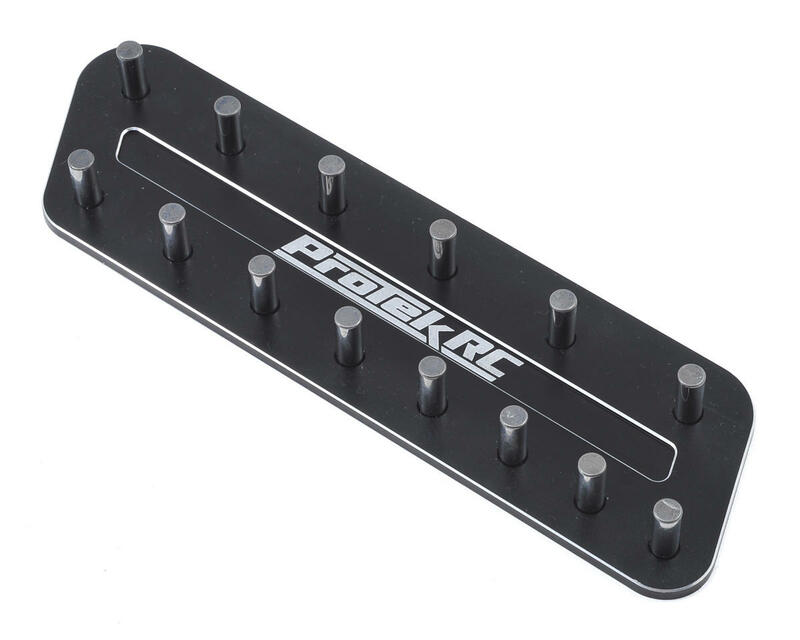 The machined aluminum plate features a black anodized finish, with chamfered edges and a laser engraved logo. With room for up to 14 pinions on the 5mm diameter steel posts, you can keep the gears you need most within easy reach, and get your gear ratio dialed for any track condition.